Talk show host Okan Bayülgen, who during an awards ceremony mocked a soap opera that was one of President Recep Tayyip Erdoğan’s favorites, has been fired from the TV station for which he was working. According to the Oda TV news portal, Kanal D, a TV station operating under the Doğan Media Group, canceled one of Bayülgen’s shows that was to be aired last week. 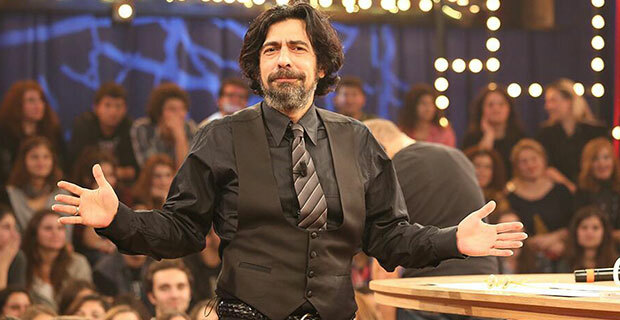 Bayülgen, known for his oddball personality and mocking of celebrities, had made fun of Best Serial award winner “Diriliş: Ertuğrul,” a historical Turkish adventure series aired on state-run TRT, during the Pantene Golden Butterfly awards ceremony on Nov. 14, following which the team returned the award to the organizers.